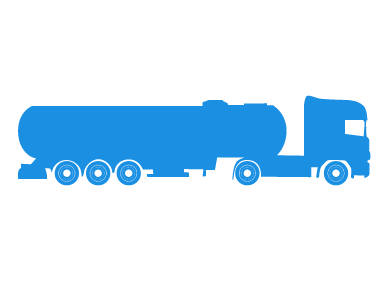 Whether you own a fleet of fuel tankers or just one for your private business or farm, insuring your fuel tanker can be a difficult and expensive job. With the increased risks associated with storing fuel, driving a large vehicle on the roads and the high costs too - many insurers struggle to provide the quality insurance that drivers need at a price that they can afford. At Adrian Flux, however, we use our 40 years of experience as the UK's largest specialist insurance broker to find quotes for fuel tanker insurance that not only provide great cover, but also don't break the bank. From commercial customers to private owners, drivers who need breakdown and windscreen cover, to people who want cheaper or standard cover, we can find the ideal quote for you by consulting our extensive panel of nationwide insurers. You can be confident too that you are getting a quote unique to your situation, as our offices are staffed by insurance experts who treat each customer differently and don't rely on one-size-fits-all policies. All of our insurance policies can be tailored to meet your needs, providing you with a balance of cover and cost to suit you best. Add-ons can include windscreen cover, breakdown, keycare, and gadget insurance, whilst discounts range from no claims bonuses to money off for advanced security features and low mileage discounts. For more information on fuel tanker insurance from Adrian Flux, the UK's largest specialist insurance broker, call us today on 0800 369 8590 or click the quote button below to get an instant quote. Alternatively, complete a callback form to arrange for a member of our insurance team to give you a call at a time that's convenient for you. Just click the callback button and we’ll give you a call at a time that suits you. Ever wanted to drive a friend or family member's car, but been worried that you might not have the right insurance cover to do so? Many policies only provide third party insurance when driving other people's cars, but our 'drive any car' insurance extends that to the equivalent of comprehensive insurance - covering you against accidental damage, fire, and theft too. With cover for claims up to £20,000, and no new forms to complete every time you borrow a car, both you and the owner can have complete peace of mind that the car and your insurance are in safe hands.